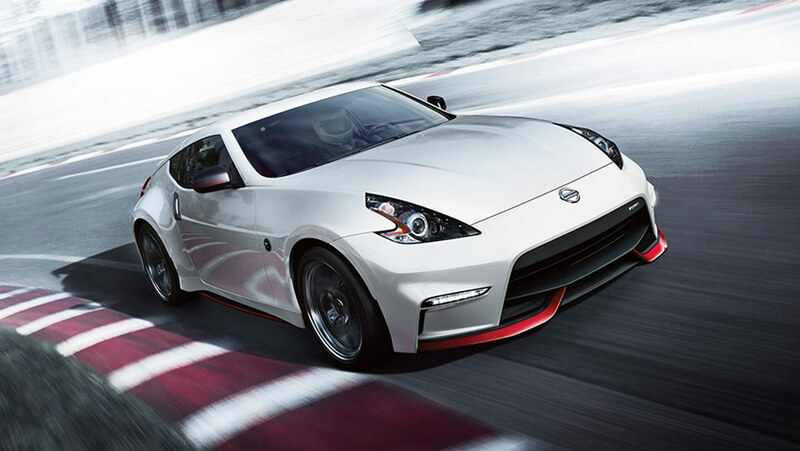 For over 45 years, Nissan’s Z-car performance models have dominated city streets and racetracks around the world. It’s completely changed the rules for two-seater coupes, combining the best elements of performance, style, and price. The 370Z is known for all three of these things, thanks to its iconic design and world-renowned steering and handling around sharp corners. Plus, with new technological features that help bring this classic coupe into the modern world, the Nissan 370Z is ready to conquer it once more. Learn more from your south Edmonton Nissan dealer. The new year brings new specialties and features for Nissan’s racing-focused coupe. More importantly, the 2019 370Z introduces the all-new Heritage Edition models of the acclaimed car, featuring unique exterior graphics, yellow interior trim details, and more, available in either Chicane Yellow or Deep Blue Pearl. On the feature side, an auto-dimming rear mirror and a rearview camera come standard across all models for better visibility while backing out the driveway or parking lot. Few vehicles have retained the same prowess and star power the 370Z has over the last decade. This can be attributed to many of its unique design and performance hallmarks, such as its low centre of gravity, aerodynamic body style, and powerful 332-horsepower 3.7-L V6 engine. While the 370Z has always remained a traditionalist in performance, it’s also evolved as a comfortable two-seater with many modern amenities such as smartphone integration and the available Bose audio system. Test Drive the Nissan 370Z today!